Just wanted to drop you a quick email to let you know that Chloe Emilia was born on 1st July, weighing 6lbs and 13 oz - arriving at 38 weeks +1. I wanted to thankyou for the support you gave us through the Hypnotherapy classes and to share my birth story with you. I listened to the CDs regularly post the sessions, and practised the techniques that we had learned in the build up to the labour and felt very calm and relaxed about the approaching day. My contractions started as mild period pains on Monday 30th whilst watching the television but they did not seem anything too bad so I went to sleep and slept most of the night. When I woke on 1st July, I realised I was still getting these mild period pain sensations and started to monitor them and found they were about 10 mins apart. At 10am I decided to call labourline as having never experienced labour before I wasn't sure if it had started or not. We were asked to head into the hospital for a trace around 11am as the fetal movements were reduced from normal. That all proved to be ok and luckily we took our hospital bags in the car, because after the appointment whilst having lunch in the hospital Costa, my contractions hotted up to 3 in 10. We popped back into the hospital and they found I was 2cm dilated and heading close to 4cm. They gave us the option to go home for a bit or take an antenatal room and we chose to stay and take the room for a bit to see how it went. I put on my CD and listened to it, practicising the breathing techniques and visualisations. After a few hours I moved to a bath and this slowed the contractions slightly but I found myself so relaxed I was drifting to sleep. By 6pm I was 6-7cm dilated, having had no pain relief except 2 paracetamol. I then moved to the birthing pool still listening to the labour companion CD throughout. I had some gas and air when I was in the pool but nothing else. I knew I had started to have the self doubt phase just before the head crowned, but Stewart was able to pick up on the signals and talk me through, he also pressed my shoulders down and gave me feather light touch massage to just help relax me further. 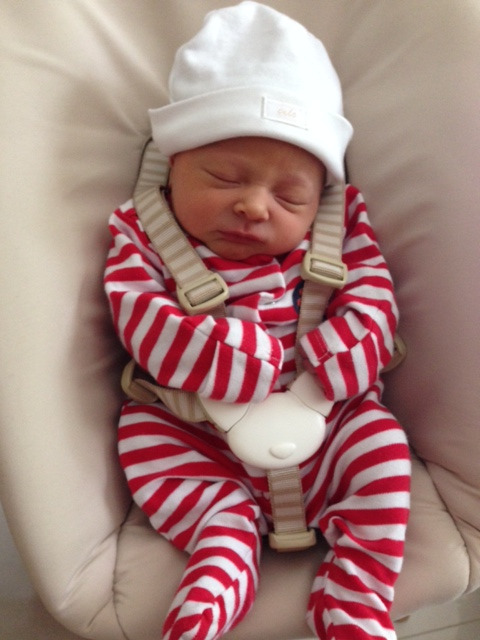 He was completely blown away by how effective the Hypnotherapy was and the midwife was also equally impressed. I don't think she thought things would move so fast, given my waters hadn't broken and I had not had a show when I arrived at the hospital. My whole labour (minus 3rd stage) was 6 hours and 29 mins which given this was my first baby I thought was reasonably quick. My baby's APGAR scores were 9, 10, 10. I look back at the entire experience and feel very positive about it. I actually feel like I enjoyed it and at no point did I feel I could not manage the pain and was able to visualise the birthing process from the CDs. I cannot recommend the Natal Hypnotherapy highly enough. Many Thanks once again for making my birthing experience pleasurable and memorable through the techniques you taught us and advice and guidance you gave.